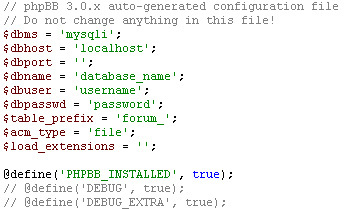 Your phpBB forum is in danger all the time due to hackers, hardware failures or corupted databases! In order to keep it safe you must always have your phpBB database and files backed up and ready for restore. This should help you if something bad happens or if you want to move your forum from one server to another in case of changing hosting services. You can do backups of your phpBB forum DB and files very easily using Site-Vault, and the process can be completely automated, just schedule it and let it run. Why backup your phpBB site with Site-Vault? Your forum content costs a lot more than $39! 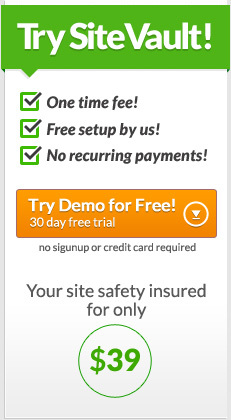 Very fast and easy to restore your forum! Have your forum backed up in minutes! Below you'll find a step-by-step tutorial on how to backup your phpBB site and restore it in case of a data-loss disaster. If this is your first time making a backup of forum, you need to setup an FTP account that you will use to backup the files on the server. 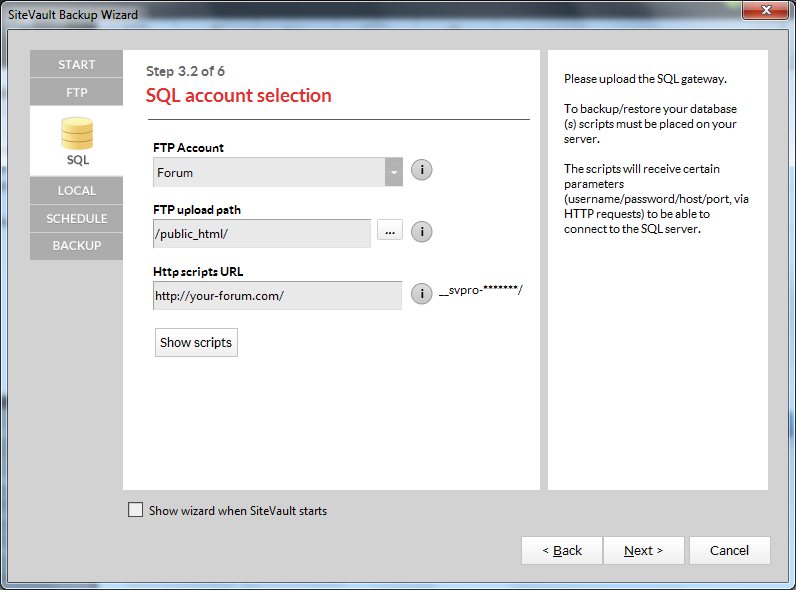 If you already have an account select "Yes, I already set up a FTP/SFTP/FTPS account" and choose the account created to connect to your forum installation. 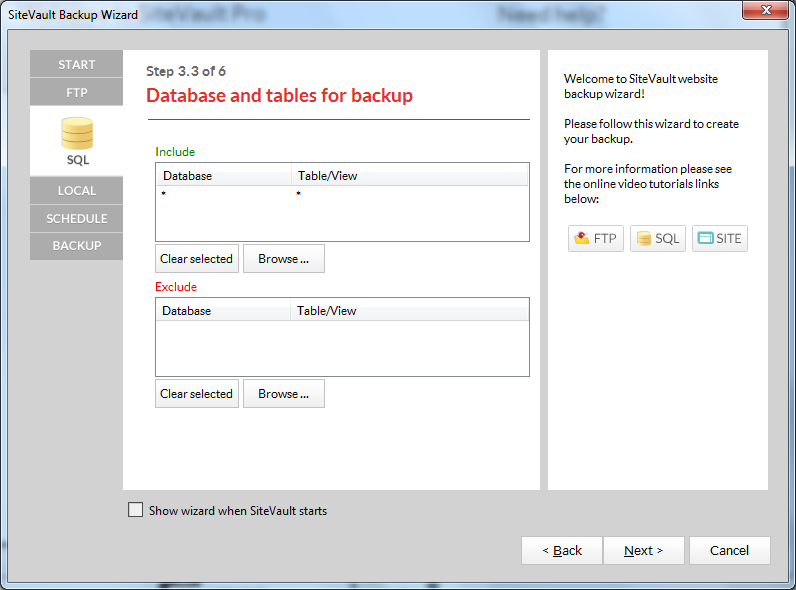 If you do not want to backup the files, only the records in the database select the option "Skip FTP/SFTP/FTPS backup" and move on to the next step. 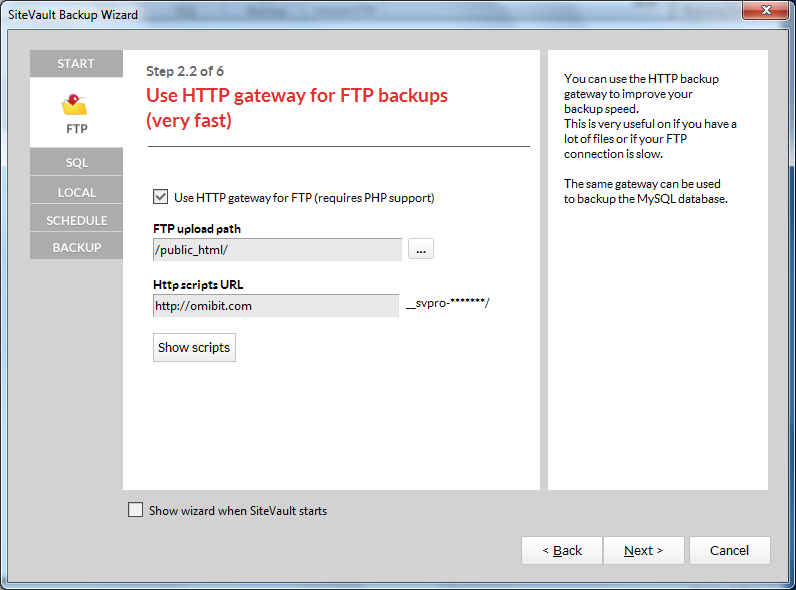 Select the type of account you will use to connect to the server: FTP, SFTP, FTPS (implicit and explicit). 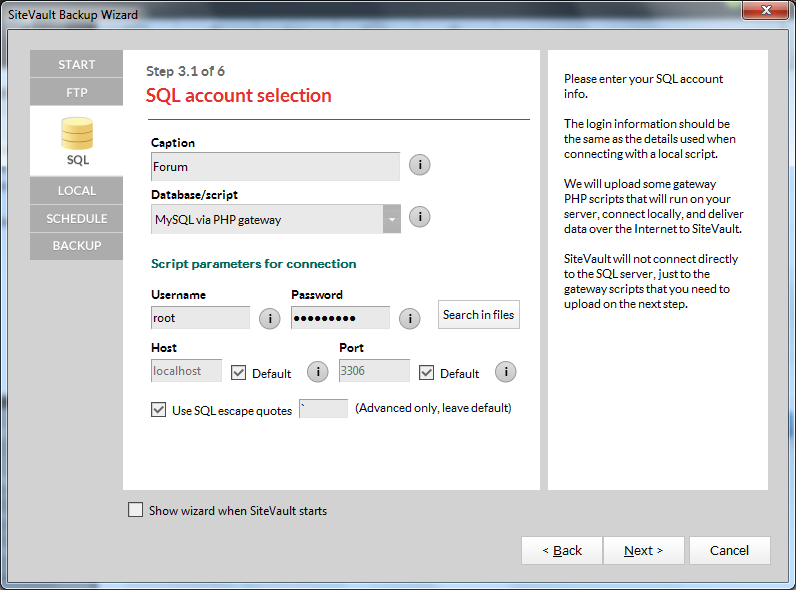 If this is your first time making a backup to forum, you need to setup an SQL account that will be used to backup the database. 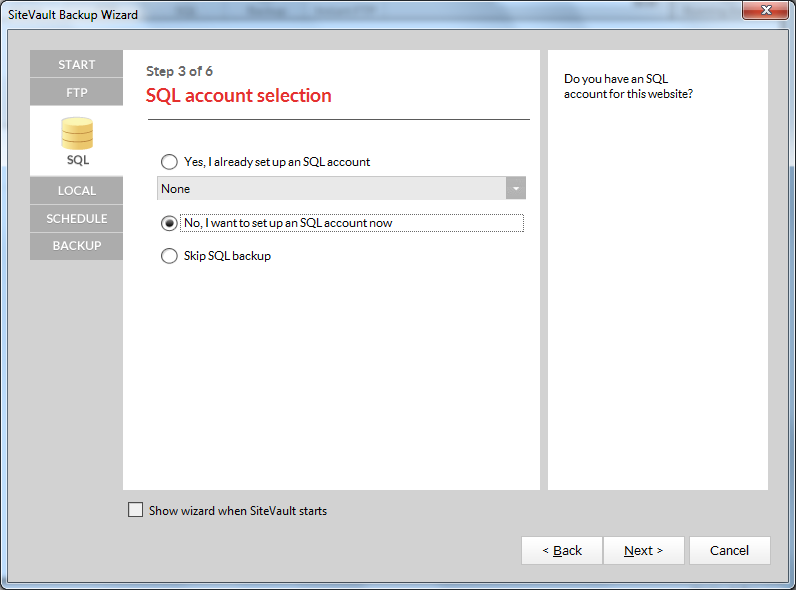 If you do not want to backup the database select the option "Skip SQL backup." and move on to the next step. If you'll use Site-Vault and follow these steps you should have your phpBB database safely backed up on your computer. Bonus tip: you can sign up for our affiliate program to promote Site-Vault and because of the very generous commission of 60% we offer you can recover your initial investement after only two sales.